Snorkeling instills the ultimate underwater excursion. Exotic oceanic destinations become astonishingly accessible to every tourist that wants to wade in the iconic blue seas. 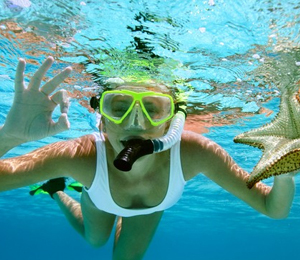 Key West snorkeling tips provide an excellent indroduction to the serene explorations. Avoid any anxiety by keeping a meditatively open state of mind. The immersion may be startling for some individuals, but the experience is completely safe. Others may be petrified by the glorious grandeur of every sight they see, and the miraculously mesmerizing outdoor aesthetics can be simply paralyzing. Personify fluidity to be able to flow with the rhythmic motions of the tide. If the tight-fitting snorkeling gear causes any claustrophobia, just calmly resurface to remove the equipment. Observe the simplicity of floatation, and give in to the inherent buoyancy being granted by the sea. Because it is inherently counterintuitive to inhale underwaters, snorkelers commonly forget to breathe. This bewildering mistake can be attributed to a natural inexperience with the aquatic element. Remember, the nasal passages will be completely blocked by the mask, so the lungs must be filled through the mouth. A lot of first-timers are unfamiliar with the sensation of breathing through a snorkel. To practice, try taking deep gasps before trying on the apparatus. This will train the body to acclimate to underwater ventilation. Since the scenic beauty of our coral reef may be overwhelming, it is important to stay focused on the act of snorkeling. Keep a keen eye firmly planted on the established course, and navigate with a steady pace. Use peripheral vision to remain alert for any unexpected interferences. Before submerging, take note of all visible surroundings to avoid any confusion. While on a Key West snorkeling tour, do not be afraid to ask any questions. The guides are formidably equipped with a wide array of relevant knowledge that can be seamlessly applied to maximize a nautical journey. A leisurely pace is key to maximizing this beautifully rich oceanic activity and not missing the abudant parrotfish or angelfish. Take the time to absorb every magnificent detail. Unlike scuba diving, there is no time limit; this is because snorkeling facilitates a direct link to natural air instead of storing a set amount of oxygen. Speeding through the sparkling waters can cause a tourist to miss main attractions, and it inhibits the relaxation of drifting with the currents. Watery propulsion is seamlessly facilitated by the fins in a snorkeler's attire. Slide into a slippery wetsuit and enjoy an an underwater frolic through adventurously inspiring American reefs. 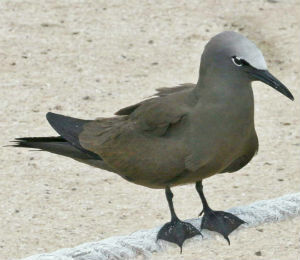 During snorkeling, the primary extertion is done by the legs. It is smart to remain horizontal, especially since this position allows the finned legs to push back with full force. Swift scissor kicks can quickly propel the body, as well as contribute to steering. Always use the fins to slice through the water, and remember that excessive motions with the arms will result in poor navigation and slowness. The most convenient place to store the hands is mellowly by one's side. Movement actually requires very little effort, so enjoy seamless sways in the tide. Any risks or dangers are ready to be addressed on scene by a pair of diligent lifeguards. This certified duo of safety professionals promises a carefree swim. As a result, Key West snorkeling is one of the securest vacation activites available to modern societies. These dutifully trained staff members can also provide extra floatation devices for individuals struggling to stay above the surface. Watchful companions are a wonderful ally to have while gliding through tropical habitats below the surface. There is no need to go it alone, and additional guests equal extra merriment. It is always wise to bring a supportive pal or partner. This will ease overexcitement and uncertainty, which will allow for a wondrously lucid dive. Having friends that are also willing to take the plunge will increase personal visibility in addition to an enhanced sense of enjoyment. By loosely adhering to the aforementioned tips, any traveler can have an exceptionally transcendent voyage along the coast during a Key West snorkeling tour. First and foremost, remember to have fun, and be prepared to get wet.